Zombies get a bad rep. Sure, they might look disgusting. They are covered in blood and rotting flesh, and they have probably not showered since they died. And sure, their dietary habits are even worse. Eating humans is wrong on so many levels, and eat humans while they are still alive is downright horrific. But, you see... What was our point again? Why are we defending zombies? Oh, that's right. 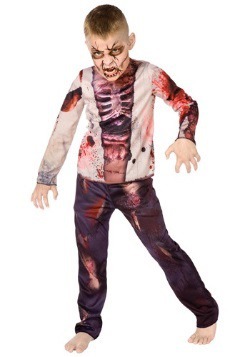 Our point is that zombies, while gross, can teach us a valuable lesson! And that lesson is to live simply. 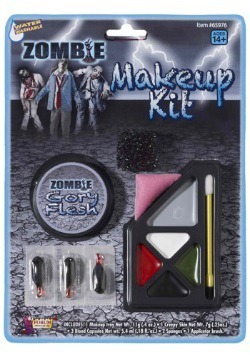 Zombies lead about the simplest lives there are, except for maybe a fungus or a mushroom. All they do is eat. They don't have a home, they don't have friends, we don't even know if they sleep. All they do is eat. And you never hear them complaining about it! 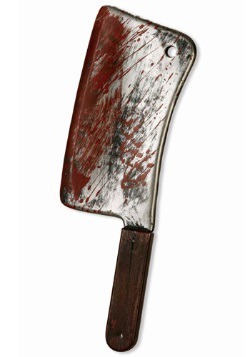 We take that as a sign, a friendly reminder from our zombie friends, to live simply. 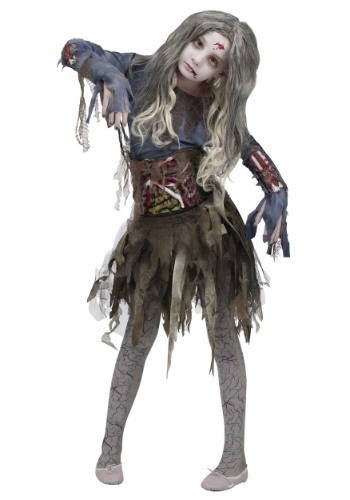 This costume will turn your girl into a horrifying, though content zombie. 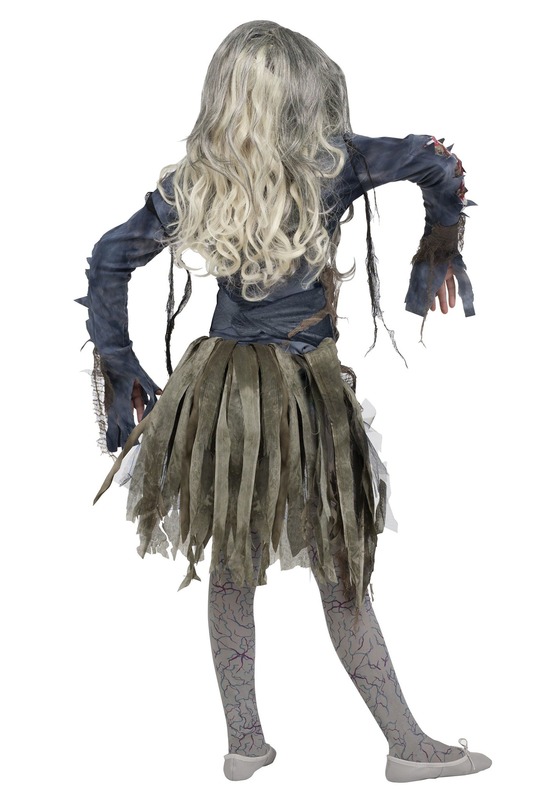 They'll be wearing a dress that is tattered well beyond the point of wear. But, that's never stopped zombies, why should it stop you? 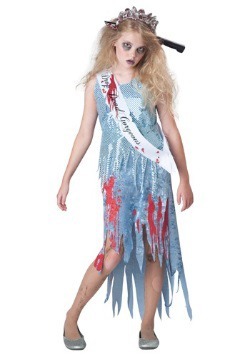 The dress also has detailing that makes it look like they sustained gory wounds. Over the dress, you'll be wearing a waist cinch. This waist cinch makes it look as though someone has done some serious damage to your stomach and intestines! 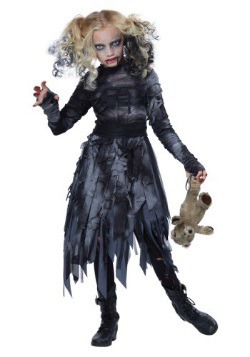 This costume is not for the faint of heart. 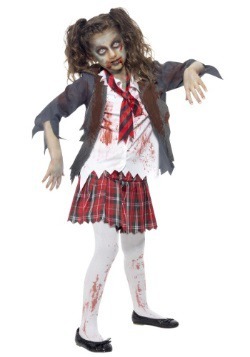 When your girl dresses up as a zombie, you might find that she develops some zombie mannerisms. This is normal, as long as they don't start biting. But, if you ever find them nibbling on your forearm, even just gentle nibbles, we recommend you take their costume away immediately and sit them down with a pepperoni pizza. That should set them back to normal. X-Large - $29.99 Only 1 left!